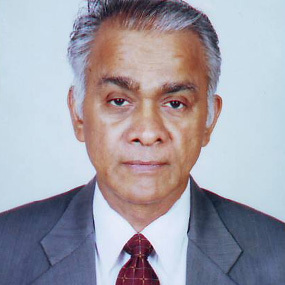 Mr. K. M. Joseph is an industry veteran with over 45 years of experience in the shipping industry. Mr. C.M. Madhavan has long standing experience in the shipping industry spanning over 40 years. Mr. Mathews Joseph is a Marine Engineer, holding MEO Class I (Motor) with 10 years of experience onboard ships including oil tankers. 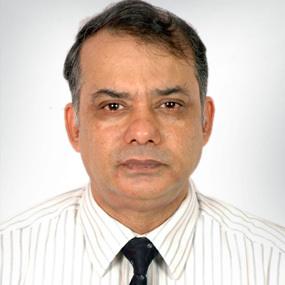 Mr. K. M. Joseph is an industry veteran with over 45 years of experience in the shipping industry. He holds a First Class Combined Certificate of Competency (Steam and Motor), is a Member of Institute of Engineers India (M.I.E) and fellow of Institute of Marine Engineers India. He has served on 14 ships of the Shipping Corporation of India (SCI) during a period of 10 years (1965- 1974). Four of these service years were in the capacity of Chief Engineer. 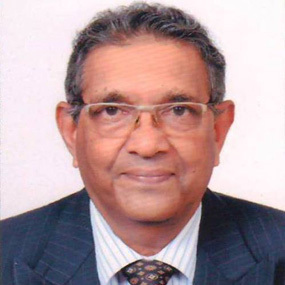 Mr. Joseph was called to the shore management of the SCI in 1975 and held various management positions including becoming General Manager (Tankers) in 1992 controlling Technical and Commercial Management of 45 Nos. Tankers (including Suez Max Tankers, VLCCs, Afra Max Tankers, Product Tankers, etc). He was promoted to Group General Manager (Bulk Carrier & Tanker Division) SCI, in May 1997 and appointed as Director of the Bulk Carrier Tanker division and member of board of directors by Government of India in December, 1997. As Director (Bulk Carrier & Tanker division), Mr. Joseph controlled the technical, commercial and financial operations of seventy five (75) ships consisting of Crude tankers, Product tankers, Bulk Carriers, Chemical Tankers, Gas carriers and also Liquid Natural Gas (LNG) carriers . Mr. U.K. De has over 38 years of experience in the shipping industry, of which 23 years were in shore administration, holding various management positions. A marine engineering graduate from the Directorate of Marine Engineering Training (DMET, Kolkata), he has a First Class Engineer (motor) Certificate of Competency issued by the Government of India. He has almost 15 years of sailing experience of which 7 years was as Chief Engineer. He has sailed on board tankers, product tankers, bulk carriers, OBO, container and forest product carriers. He was Technical Superintendent from 1993 to 2001 and Fleet Manager from 2001 to 2003, General Manager in Accord Ship Management from 2003 to 2005. He was Technical Director in Accord Ship Management from 2005 to 2009. He also held the position of Chief Operating Officer in Adani Shipping from 2010 to 2011. Mr. U.K. De has considerable experience in various segments of shipping industry namely technical management, personnel management, safety & quality management, project planning & contract management as well as purchase and contracts. He is member of the Institute of Engineers and Fellow of the Institute of Marine Engineers. He is also member of Technical Advisory Committee of Registro Italiano Navale (RINA India). Mr. C.M. Madhavan has long standing experience in the shipping industry spanning over 40 years. Mr. Madhavan joined SCI as a Junior Engineer in 1972 and sailed on various ships such as tankers, bulk carriers, general cargo carriers and the like for 10 years, three years of which were in the capacity of Chief Engineer. He was called ashore in 1982 and held various shore positions, starting as Deputy Engineer Superintendent (Tankers), becoming Deputy General Manager (Tankers) in 1991.. In 1992 he became Group Incharge responsible for Technical Management of 14 nos. tankers. He was promoted to General Manager in 2001 responsible for technical and commercial operations of 45 nos. tankers. He became Group General Manager in Bulk Carrier & Tanker division in April 2006 and was later transferred to Technical Offshore and services division in Nov 2006 where he served as Group General Manager Incharge of shipbuilding and services until May 2007. Mr. Madhavan was transferred back to Bulk Carrier & Tanker division in May 2007 as Group General Manager Incharge of entire division, responsible for technical and commercial operation of 64 vessels comprising 20 bulk carriers, 39 tankers and 5 specialized vessels. 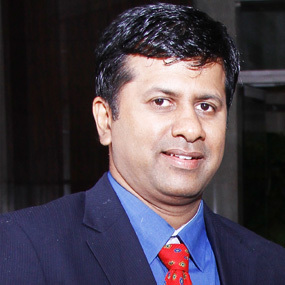 Mr. Madhavan has also overseen the ship building of chemical tankers in Korea. He is a member of the Institute of Marine Engineers. Mr. Mathews Joseph is a Marine Engineer, holding MEO Class I (Motor) with 10 years of experience onboard ships including oil tankers. He has considerable experience in overall technical ship management, including dry docking of the vessels. Mr. Mathews Joseph’s sailing experience includes sailing on tanker vessels employed on the oil supply and cargo run in North America, South America as well as the Gulf area. Vessels sailed on include oil tankers, DP2, AHTS and ocean going tug vessels. As Deputy General Manager at Shipping Corporation of India, he was involved in the reactivation project of tug from laid up condition. His work included Class inspections and ensuring that a dispensation is obtained to sail the vessel for repairs and special survey dry-docking. As Technical Superintendent with Elegant Ship Management, he has gained significant experience in the technical management of chemical tankers. He has been involved in change of owners, change of class and change of flag operations. He has experience in ISM, ISPS audits, annual class surveys, charter party surveys, extensive hull repairs and modifications during dry docks. He is member of the Institute of Engineers and the Institute of Marine Engineers.